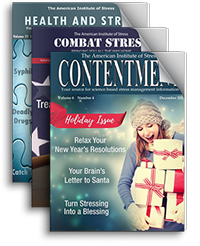 Obtaining credentials from The American Institute of Stress is a designation that sets members apart as stress experts and reflects their commitment to the advancement of innovative and scientifically-based stress management protocols. 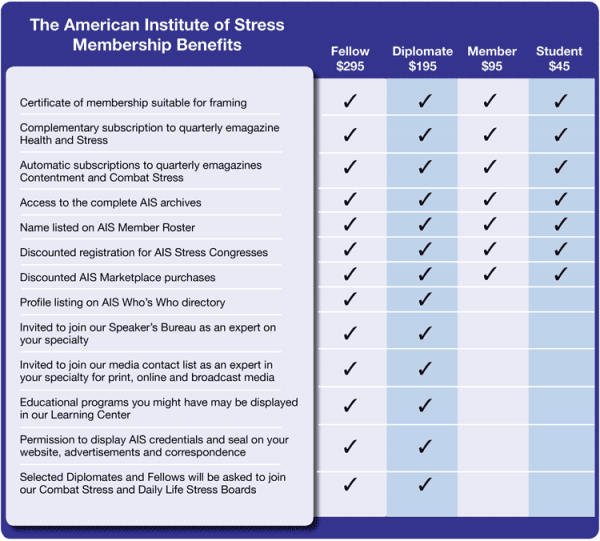 The AIS Seal and credentials inform the public that the certificate holder commands advanced knowledge of the latest stress research and stress management techniques. For physicians and other healthcare practitioners, it designates your practice as an advanced treatment center for stress-related illnesses. Certification is open to healthcare professionals, clinics, hospitals, institutes of higher learning, corporations and *products that demonstrate clear evidence of diligence and commitment in upholding the tenants of the AIS. Awarding of the AIS Seal, reflects your commitment to making truly significant strides toward providing individuals with stress reduction tools, training and techniques and a reduced stress environment in your workplace and/or that you have developed a *product that reduces stress levels and improves the health and quality of life for consumers.